resources. This is a great way for you to network and get to know other agents in the area! Join us for a free lunch and a great topic for your business. Michael is an account manager for Rainier Title. He has been in the Real Estate field since 2001. He is a licensed clock hours instructor for Real Estate agents. He teaches over 20 different classes but today I've asked him to come in and talk with you about his latest and most popular class, video 101. Tina Mitchell has been in the mortgage industry for over 2 decades and has been recognized in the top 1% Nationwide. She is a numbers gal so much that she designed a mortgage software and is the founder of Mortgage Triangle Software. 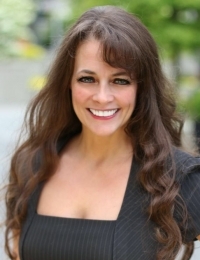 She is committed to the Real Estate community and has been awarded Partner Of The Year from Washington REALTORS, Media Of the Year from Seattle King County REALTORS, and Member Of The Year from Women’s Council of REALTORS. Tina is a radio personality and host of The Money Hour on 1150AM KKNW. She is also a speaker, coach on One-Time Your Business™, and the author of Journey With Me. Her passion is helping the homeless community by sharing her message to Turn Tragedy into Triumph. She shares her own story with Mary’s Place, The House of Hope, Esther’s Place and The Hoff Foundation where she serves on the Board of Directors. Tina’s personal motto is “Live Your Dream Now!” Listen to her song, Dream.